Choose the days you are traveling and get full medical coverage for one single round trip. Easily extend your coverage as many times as needed up to a maximum of 365 consecutive days. Get full medical coverage for all your travels within a year, with a maximum of 30, 45 or 90 consecutive days on the same trip, according to the selected option. Easily extend your coverage if one of your trips exceeds 30, 45 or 90 consecutive days for an additional daily premium. Baggage delay, theft, loss or damage. Travel delay or missed flight connection. Personal liability: bodily injury and property damage. Get coverage in case you are unable to travel due to acute illnesses, injuries or death. 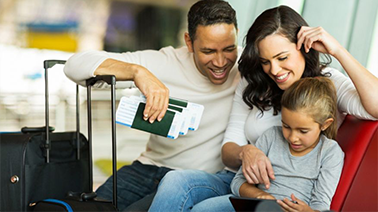 Comprehensive travel insurance coverage, from minor treatments to repatriation. Free choice of doctors and hospitals anywhere in the world. Free coverage for children under 2 years old. Coverage for people up to 79 years old. Return ticket home in case you miss your flight due to illness. Compassionate emergency visit to an insured. Second medical opinion in annual trip plan. Quote the plan of your choice and customize your coverage with any of the optional riders. Fill out the online application, which will take just a few minutes. Submit your payment through our secure online payment system. You're all set! Print your policy documents, including your ID card. GET A QUOTE AND APPLY NOW! Submit the Declaration of Pre-Existing Conditions form. 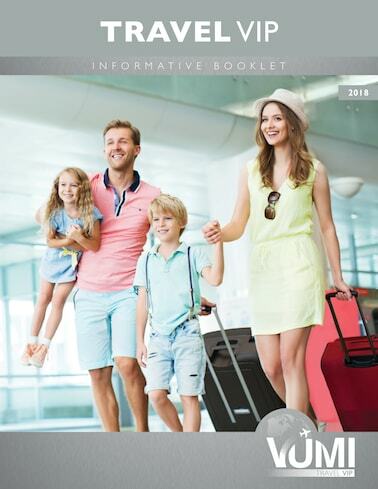 For a complete list of benefits, click on the image to download the Travel VIP Informative Booklet. 2019 © Portal del Agente .